Worried about a restive Russia and President Trump's threats to stop footing the bill for the security of other nations, Germany has been working to beef up the ranks of its military to try and honor its obligations under NATO, and prepare for a scenario where the US's global military presence has been dramatically scaled back. But as we've reported previously, this has proved easier said than done. Because even after dramatically scaling back its standards, the German military has been having trouble recruiting qualified specialists and officers, which has prompted speculation that they could look outside Germany to other EU nations for badly needed recruits. And unfortunately for Germany, even the soldiers they have managed to recruit aren't particularly well suited for the job, according to reports in the German press highlighted by RT. By one metric, only half of German recruits are considered 'suitable' for service. The report, published by German newspaper Bild, purports to cite internal army documents. 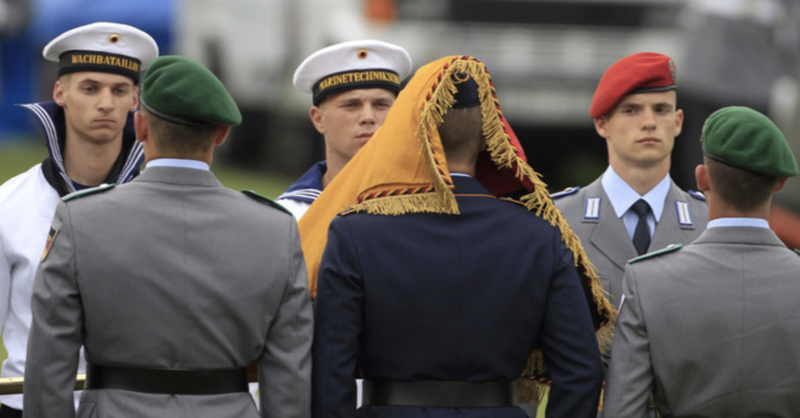 German military is plagued by various blunders these days, and there is one more – it emerged that only half of potential recruits are suitable for service, Bild revealed. Others are reportedly unfit or have no German passport. Bad news about the imperfect state of the Bundeswehr are coming regularly, but this one seems to be even worse, according to Bild am Sonntag tabloid. Citing internal army papers, outlet writes that only half of the 760,000-strong pool of potential recruits is eligible to serve. The Bundeswehr currently has 25,000 job openings, including doctors, engineers and specialized field positions like combat swimmers. The reality, however, looks murky as around 25,000 army jobs are up for grabs due to the lack of available personnel. In addition, every fifth civilian position in the Bundeswehr remains vacant. IT professionals or doctors are most wanted in the Bundeswehr, but there is a shortage of other specialists such as combat swimmers. That said, shortage of personnel is so dire that the military are recruiting almost everyone who meets their minimum criteria. The details about the military's personnel problems was compiled by - who else? - Boston Consulting Group. The paper found that the military has steadily been admitting more applicants. Bild cited a strategy paper by Boston Consulting Group compiled for Defense Ministry, which said that only one in four applicants was hired in 2015. Two years later, every second applicant was deemed robust enough to serve. The Bundeswehr has significantly reduced its manpower since the Cold War, especially after conscription was abolished in 2011. Since that time, the Defense Ministry has been struggling to fill the army as German citizens were reluctant to join the army of their own free will. But the personnel problem isn't the only chronic issue plaguing the Bundeswehr. The report shows that out of every 100 pieces of equipment owned by the military, only 38 are fully operational. That aside, Bundeswehr is also struggling with major problems regarding its weaponry. In November of 2018, the military admitted that out of nearly 100 pieces of equipment delivered to it that year, only 38 were fully operational. Given all these issues, perhaps pooling their resources with other nations (like France) in the form of an EU-wide army would make sense.